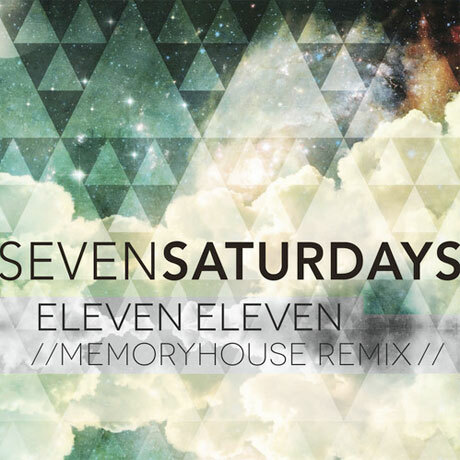 L.A.-based electronic artist Seven Saturdays (a.k.a. producer Jonathan D. Haskell) loaded his eponymous 2013 solo album with airy and cloud-bound ambient sounds, but a new remix from Toronto's Memoryhouse is bringing the set's "Eleven Eleven" back to earth, more specifically to the dance club. While the original placed the gossamer vocals of Genevieve Artadi atop a slow-building arrangement of lax roto-toms and fluid guitar work before ultimately exploding into a ramped-up yet sparkling new age soundscape, Memoryhouse's redo is energetic from the jump. Here, the song gets fit with steady four-on-the-floor, speaker-panning sonics and '80s-era keyboard oscillations. Artadi's vocals, meanwhile, still play heavenly despite the grounded, post-disco dressing. You can sample the recast track down below.